UPDATED – WASHINGTON (CNS) — Recent comments by a high-ranking Vatican official have sparked questions about the direction priests should face while celebrating Mass, but the Vatican spokesman said Pope Francis has made it clear no changes are foreseen. Cardinal Robert Sarah, prefect of the Vatican’s Congregation for Divine Worship and the Sacraments, urged priests and bishops at the Sacra Liturgia conference in London July 5 to start celebrating Masses “ad orientem,” or facing away from the congregation, beginning the first Sunday of Advent this year. However, Jesuit Father Federico Lombardi, Vatican spokesman, issued a statement July 11 indicating the Pope Francis met with Cardinal Sarah July 9 to indicate no liturgical directives will begin in Advent. “Cardinal Sarah is always rightly concerned with the dignity of the celebration of Mass, that it might adequately express an attachment of respect and adoration for the eucharistic mystery,” Father Lombardi’s statement said. “Some of his phrasing has been badly interpreted, as if he had announced new, different indications from those now given in liturgical norms and the words of the popes on celebration toward the people and the ordinary rite of the Mass,” the spokesman added. At the conference in London, Cardinal Sarah had asked that “wherever possible, with prudence and with the necessary catechesis, certainly, but also with a pastor’s confidence that this is something good for the church,” priests face east when celebrating the Liturgy of the Eucharist. “I think he’s just encouraging as anyone can encourage, but because of his position, his encouragement carries more weight. He’s not changing the legislation at all; he’s just giving his opinion that he thinks this would help people to pray better,” Father Andrew Menke, associate director of the U.S. Conference of Catholic Bishops’ divine worship office, told Catholic News Service July 6. Father Menke also said that as new editions of the Roman Missal are released, liturgical law is bound to shift, but he doubts anything would happen regarding the direction the priest faces, except perhaps more encouragement of “ad orientem” Masses in future missal editions. 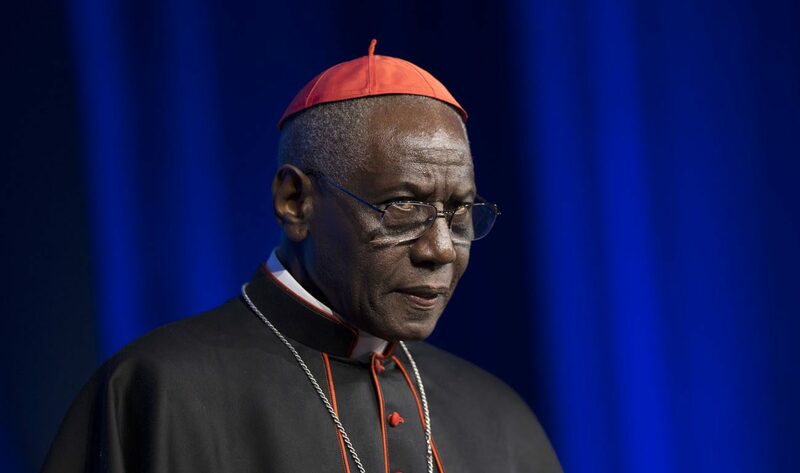 Others agreed, saying neither bishops nor Cardinal Sarah have the right to force priests to celebrate Mass “facing East” until there is an official change to the missal, the official liturgical law.